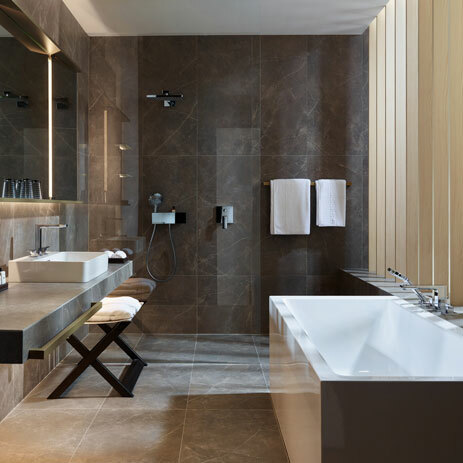 The mathematical formula for modern bathrooms reads as follows: combine hansgrohe design and mixer expertise with two or more mixers to create a perfectly parallel overall look. The broad, in-depth Metropol range is top-quality and impressive, in part due to its precise, geometrical design. Numerous product variants (different handles, spout heights and lengths) also offer your customers a wealth of application and design options. 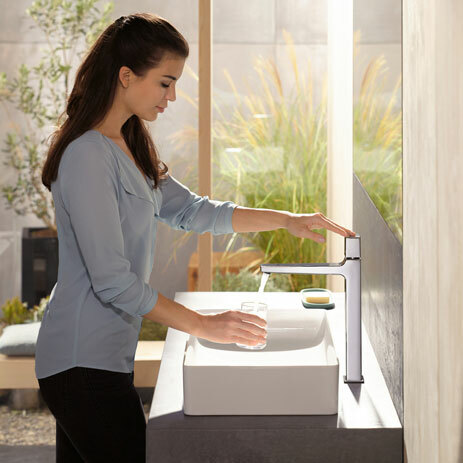 The basin mixer in the user-friendly Select variant is controlled intuitively, at the touch of a button. 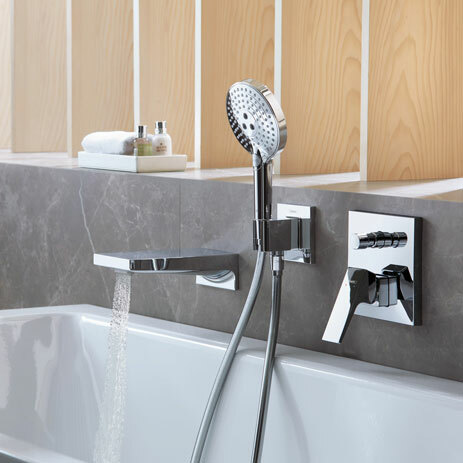 The floor-standing single lever mixers for wash basins and bath tubs make impressive design statements. Mixers with three handle variants: flat lever handle, delicate bow-shaped handle and minimalist handle featuring Select technology. Available in four heights – all user-friendly. The single lever basin mixer 100 comes with a long or short spout. Imposing: the floor-standing basin mixer. The parallel design is perfectly expressed in the 3-hole and wall-mounted Metropol mixers (two handle designs). Metropol is also available as a bidet mixer/bidette set. Modern accents on the bath tub too, e.g. with floor-standing mixer in elegant silhouette (with manual shower). Also available as a bath filler. The Metropol range comes in 2-, 3- and 4-hole variants for the bath tub rim. The single lever concealed installation mixer looks timeless, in a quadratic design. All available in two handle variants. Two exposed bath fillers stand out thanks to their clear, prominent storage surface. Here, the quadratic design is stylishly carried through. The geometric elements on the single lever, exposed shower mixer are striking. 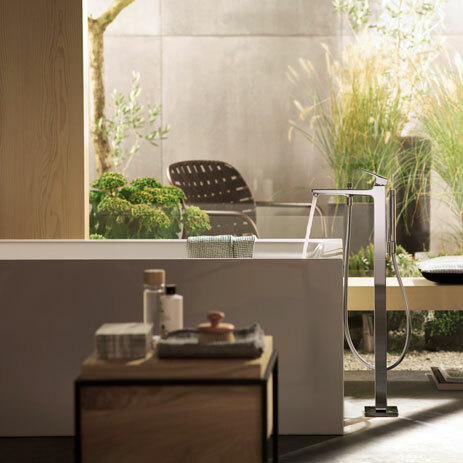 Featuring clear minimalism, the concealed installation solution controls a variety of timeless hansgrohe showers – and creates space to move around in the shower. Each with two handle variants. 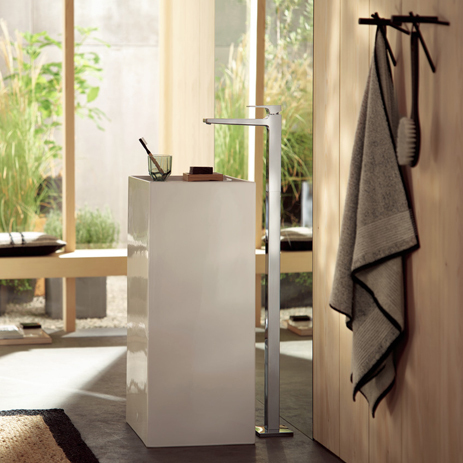 An expressive range of products for wash basins, bath tubs and showers – to create a uniform ambience. Mixers are economical and eco-friendly: thanks to their automatic water volume restriction of 5 l/min with EcoSmart. Four different ComfortZones are available for the wash basin: 100, 110, 230 and 260 mm in height. Gentle aeration with AirPower and anti-limescale function QuickClean.